Great news Eric Carle fans, The Very Hungry Caterpillar Show returns to Melbourne this winter, after performing all over the world and Australia-wide, following the very first show performed in Sydney back in 2015. The theatrical production of The Very Hungry Caterpillar Show is based on Eric Carle's legendary book of the same name; the beautiful book you know and love. Would you believe it has been 47 years since The Very Hungry Caterpillar first hit the bookshop shelves? Yet even today, the much loved colourful tale is a hit for many pre-school children both here in Australia and overseas. 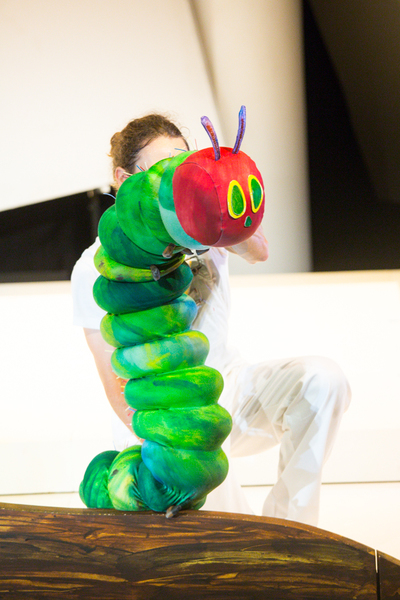 The Very Hungry Caterpillar Show gives your children the opportunity to enjoy their favourite book, live on stage. The cast use 75 puppets made by widely acclaimed New York company; Puppet Kitchen, to perform the interactive show. Staff at Puppet Kitchen have worked on various smash hit shows such as Sesame Street, Disney's The Bear in the Big Blue House, Avenue Q on Broadway and more. 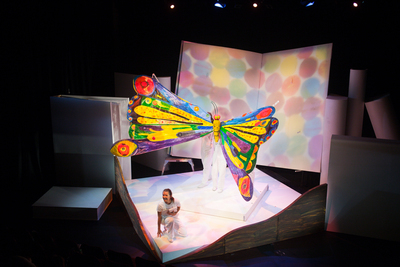 The Very Hungry Caterpillar Show is a 50 minute adventure into the world of Eric Carle. As well as his legendary caterpillar story, some of Eric Carle’s other bestselling classics feature in the performance including, Mr. Seahorse, The Very Lonely Firefly,and The Artist Who Painted A Blue Horse. Be captivated by an amazing collection of on-stage creatures, including an 8 foot red crocodile, a life size yellow cow, a world of underwater sea creatures, a 3 metre beautiful butterfly, as well as the star of the show; the very hungry caterpillar. 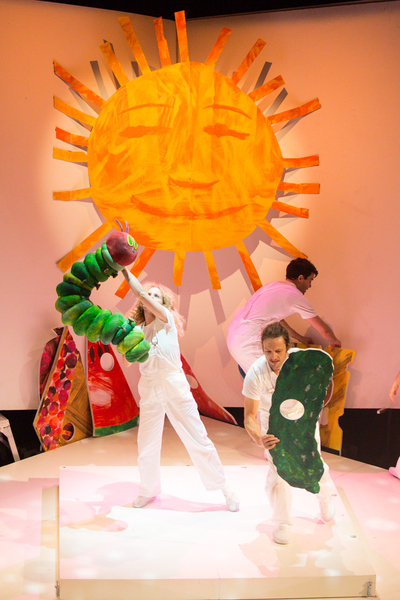 The Very Hungry Caterpillar Show will perform in two Melbourne venues this time around; The National Theatre in St Kilda and The Drum Theatre in Dandenong.